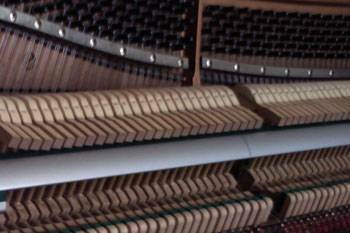 For your piano we can offer you Tuning, regulating and repairs. All pianos require tuning as a piano will go out of tune whether it is played or not. The main reason a piano will go out of tune is changes in humidity. Ideally all pianos will be tuned to concert pitch A440, however - with pianos that haven't had a regular tuning or due to the pianos age concert pitch can't always be achieved but our tuner will always do his best to bring your piano back up to pitch. The tuning of a piano should only be performed by a qualified tuner as inexperience can cause damage to your piano. Pianos require tuning every six months but a minimum tuning of once a year is the general rule of thumb. Please call us to book an appointment, tunings can usually be scheduled in within a few days and we should always reach you at the appointed time. The inner mechanism of the piano is a complex action. 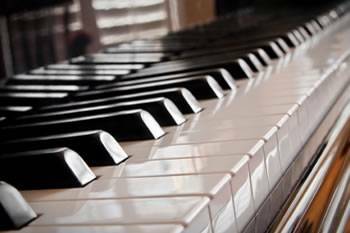 Every key in your piano has 25 points of adjustment which all have to work together so that when you play each note it sounds as it was meant to when the piano was built. We can correct your uneven feeling notes, sticking keys etc.